In 2006, Dylan Evans set out to answer these questions. He left his job in a high-tech robotics lab, moved to the Scottish Highlands and founded a community called The Utopia Experiment. There, together with an eclectic assortment of volunteers, he tried to live out a scenario of global collapse, free from modern technology and comforts. Within a year, Evans found himself detained in a psychiatric hospital, shattered and depressed, trying to figure out what had gone wrong. 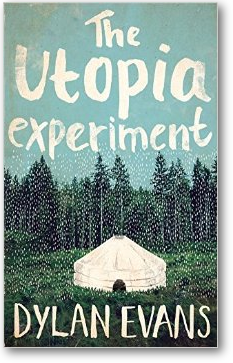 In The Utopia Experiment he tells his own extraordinary story: his frenzied early enthusiasm for this unusual project, the many challenges of post-apocalyptic living, his descent into madness and his gradual recovery. In the process, he learns some hard lessons about himself and about life, and comes to see the modern world he abandoned in a new light. Apparently you can buy it. It’s not on my reading list however. Previous Previous post: Cultured reason … ?